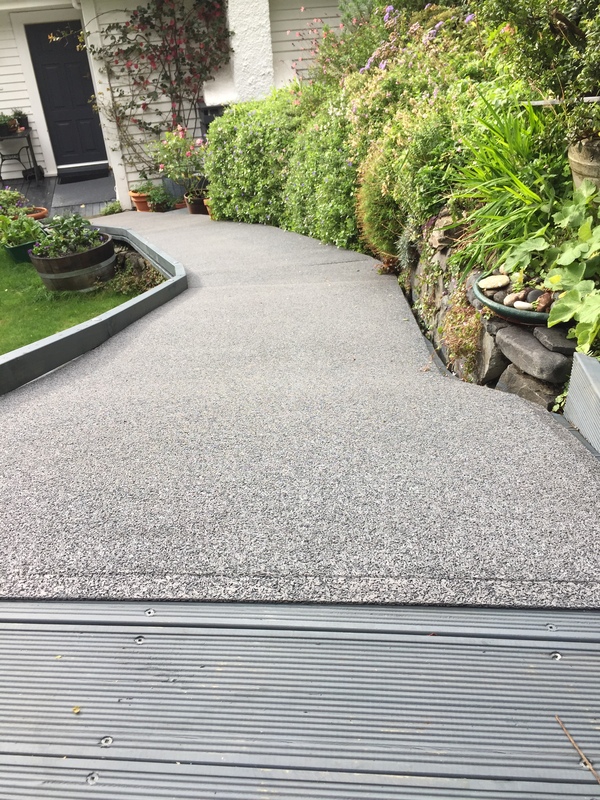 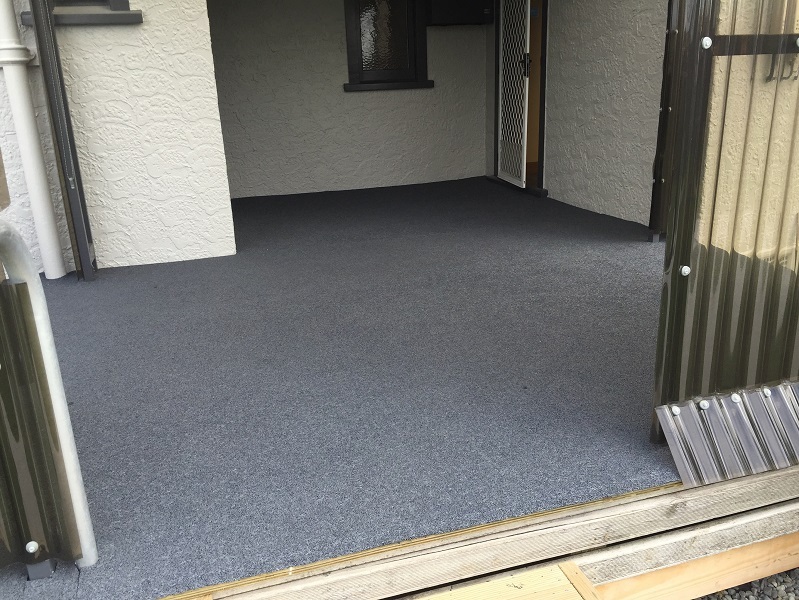 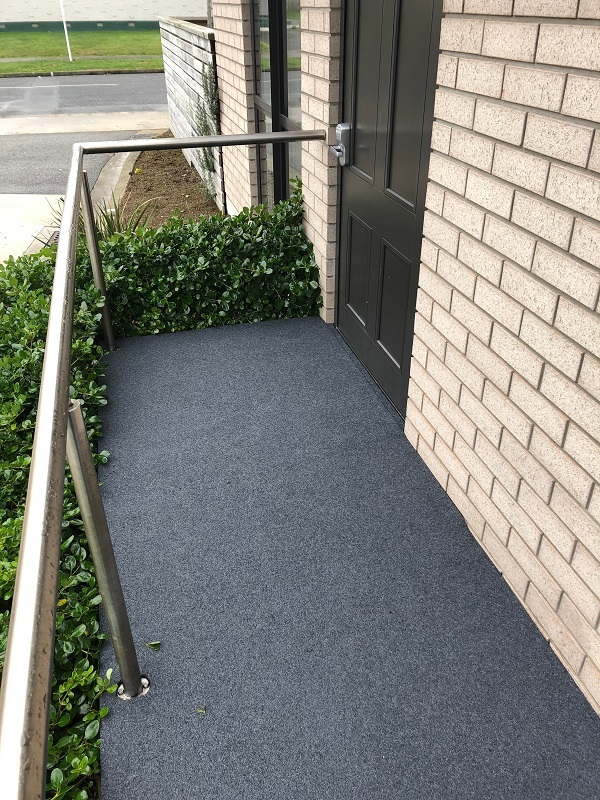 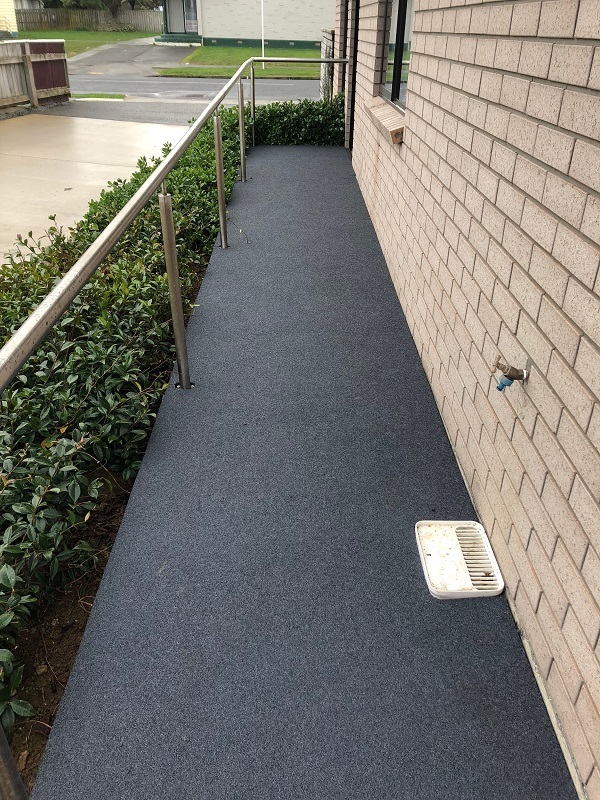 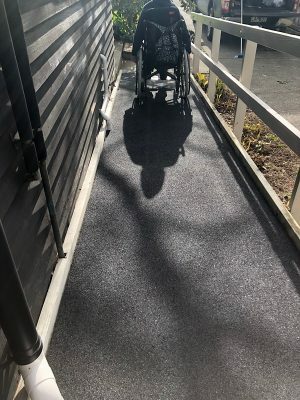 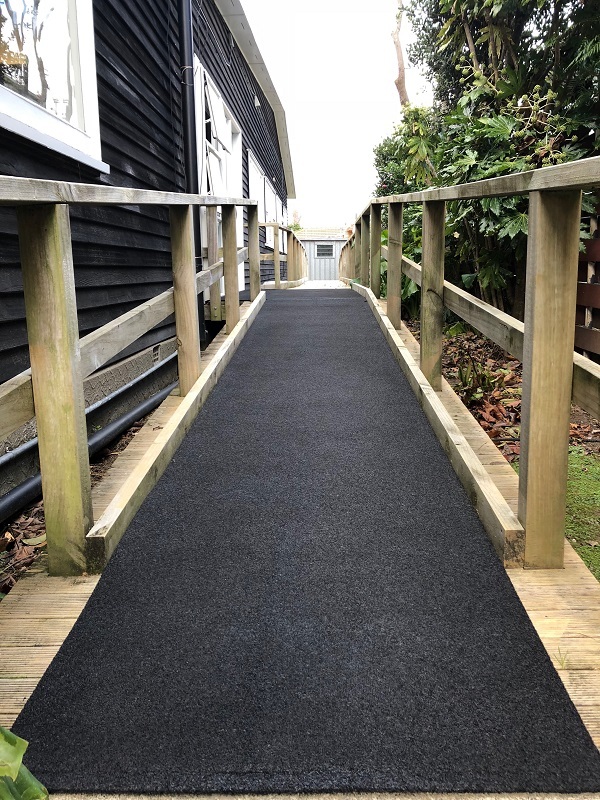 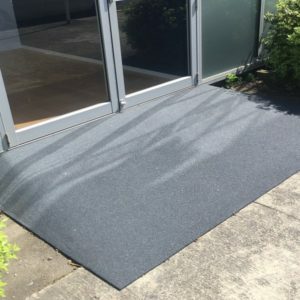 Burgess Non Slip Deck and Ramp matting is ideally suited for wheelchair access, slippery ramps and steps, decks, walkways, accessways and around wet areas like pools and spas. It is suitable for some playground applications, dependant on fall height and substrate. 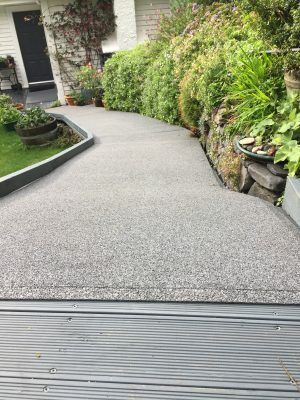 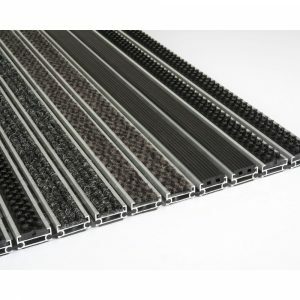 This durable matting allows water to pass through and is great for wet or damp areas and inclines. 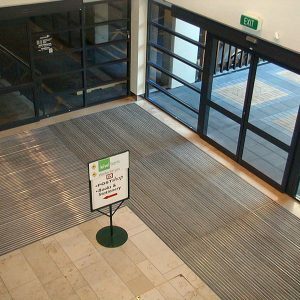 Anti-slip walkway matting is ideally permanently fixed and we have products which we recommend for this. 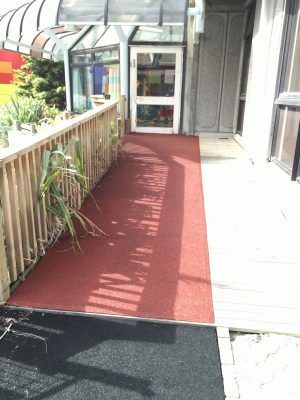 We can also provide matting with bevelled edges to reduce trip hazards. 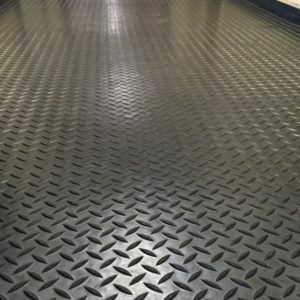 It is easily cleaned with regular wash downs with your garden hose and household detergent. 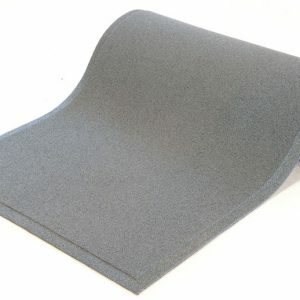 Should any of the matting get moss or weeds growing then wet ‘n’ forget or boiling water is effective in removing these. 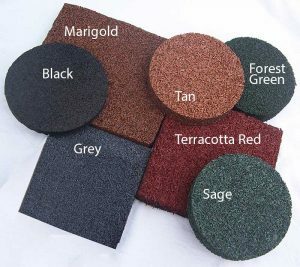 You can choose from Grey, black, Terracotta Red or Marigold (Auburn).